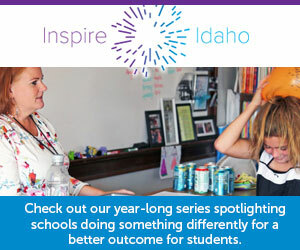 Have you seen or heard of Amity Elementary School in south Boise? Built in 1978, Amity was hyped as revolutionary for its time. Its earthen roof was touted as environmentally friendly, providing good insulation. Time magazine featured Amity in an article. Amity is being torn down next week. And students and staff left a permanent mark on the inside of the building to say goodbye. On the last day of school, they covered the hallways with notes written in permanent marker. Everyone took pride and ownership in their farewells, said principal Valerie Uhlorn. “This was a fun moment with a lot of mixed emotions,” she said. All year, crews have been constructing a new school right next to the old Amity school, part of the $172.5 million bond issue voters approved in March 2017. The 1978 building will make room for a new playground area. Demolition will take two to three weeks. The new, modern school will cost nearly $14 million. Students and staff will celebrate the opening on Aug. 30.